I beg to differ. The alternative is the internet, where everyone can be judgmental without direct confrontation. Or maybe we could stop seething with rage. Lucky for me, I don't carry a book bag, because I rarely go anywhere. 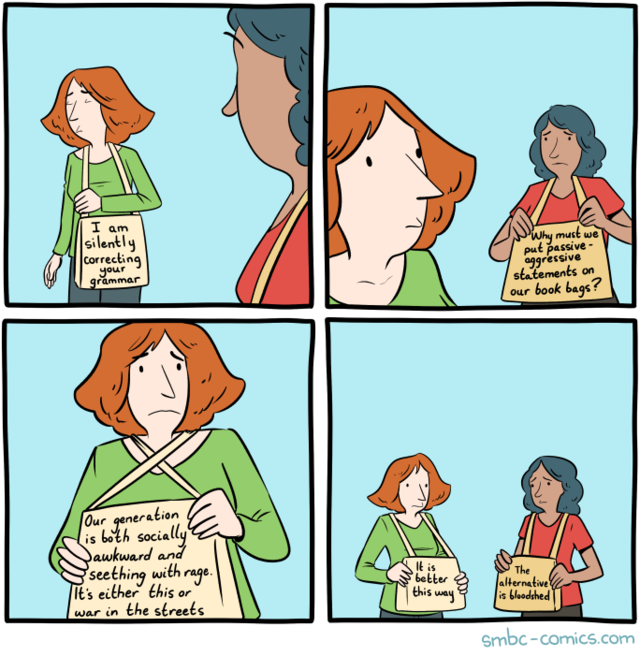 This comic is from Zach Weinersmith at Saturday Morning Breakfast Cereal.